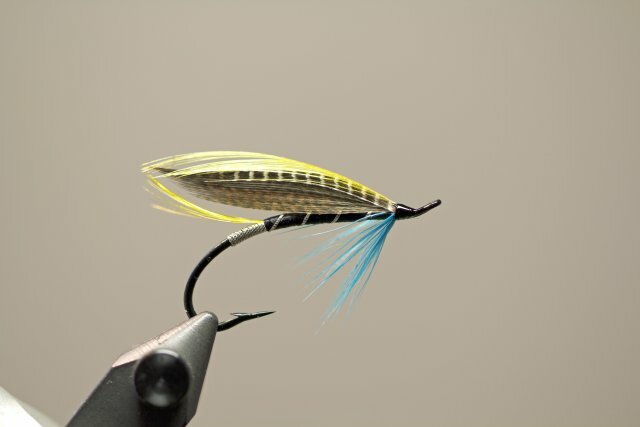 The inspiration for the title of our film comes from one of the most famous flies ever used on Scottish rivers. 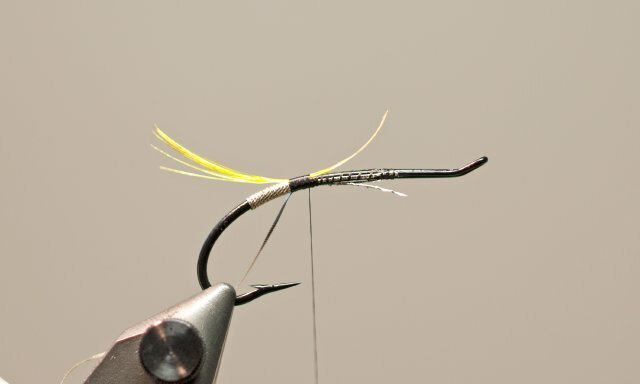 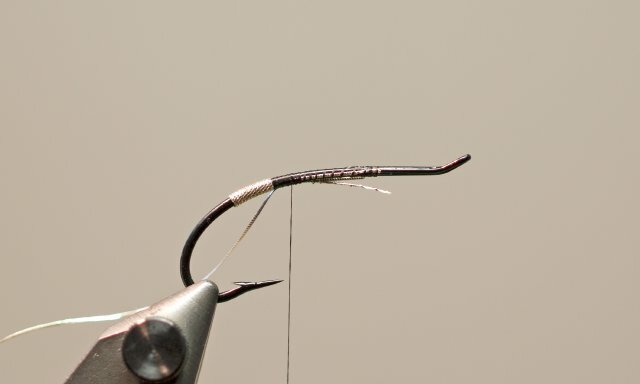 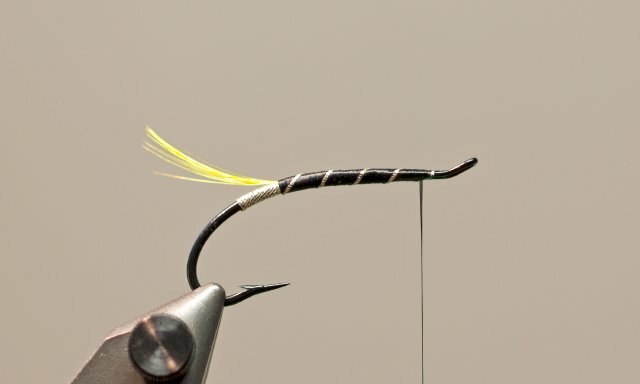 We would like to thank Jörg Schuft, both for the fly used on the cover of the DVD and providing us with this version of tying the classic fly below. 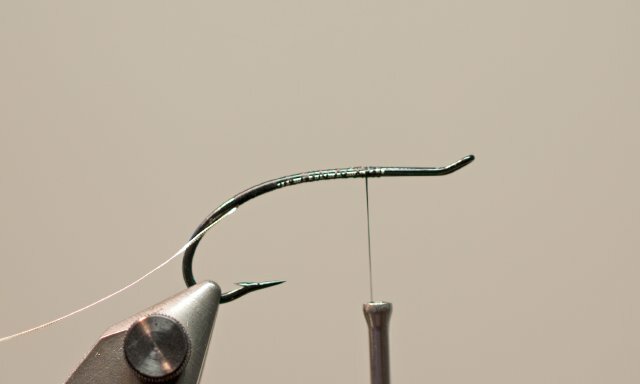 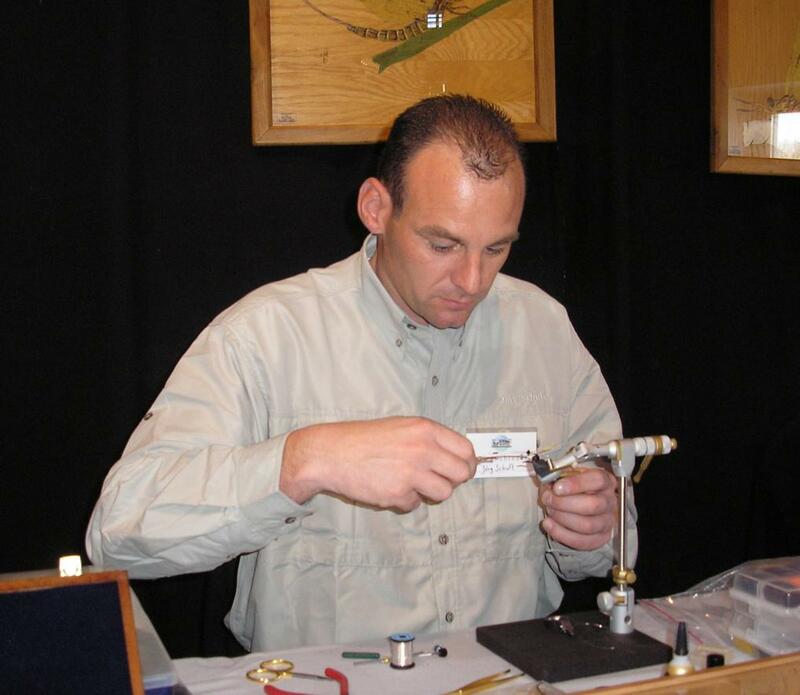 We have already seen a much greater interest from fly tiers in various internet platforms, something which we are sure will lead to many more salmon and salmon anglers becoming “Hooked on the Classics” during 2013. 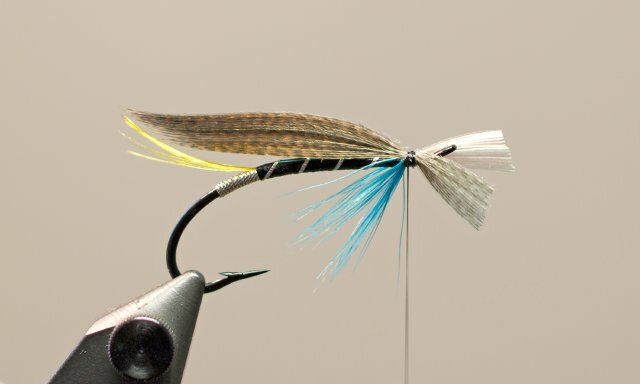 One of the most popular salmon flies of both the 19th and 20th Century is the “Blue Charm". Between the years 1913 and 1934, one of the most famous names in Salmon Fishing, Mr Arthur Wood, caught more than 3.500 salmon with this fly; most of them at Cairnton, a middle beat of the River Dee in Scotland. 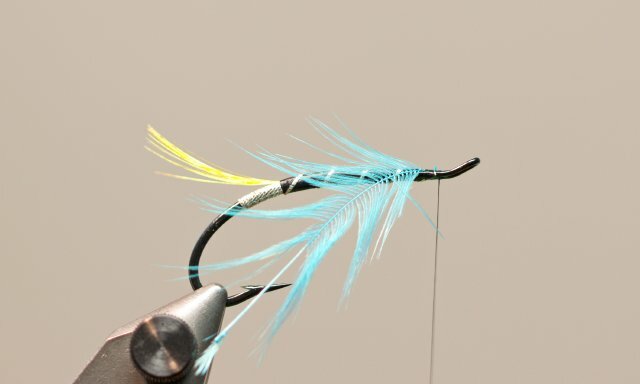 The Blue Charm remains popular amongst Salmon fishers today, particularly in low and clear water conditions. 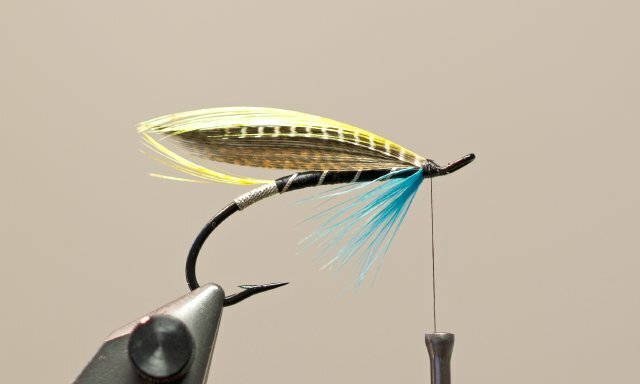 The fly is a favourite of well known modern day salmon fisher, Ian Gordon, something he expressed in the film “Blue Charm“ – Salmon fishing in Scotland produced by Ian Gordon and Robert Stroh. This film was my inspiration for the following instructional photos of how to properly tie the original “Blue Charm”. 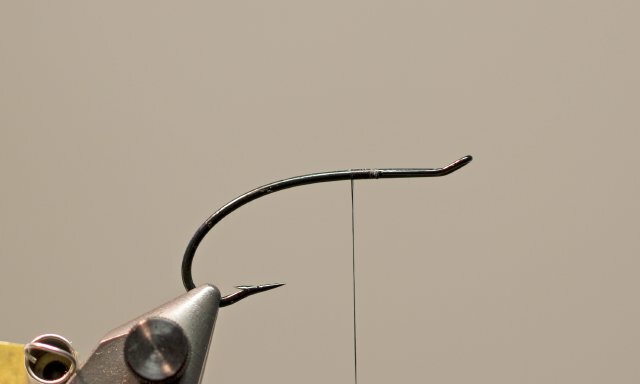 On the photos I've used a Partridge Bartlett Supreme Salmon Hook size 2. 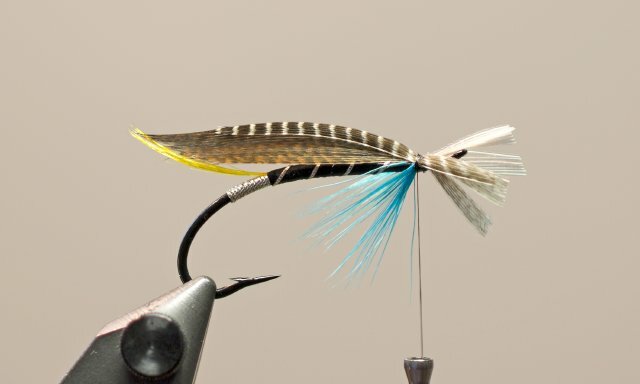 Ready is the "Blue Charm"
I wish you a lot of fun by tying the “Blue Charm” and I hope you will get a big salmon on this fly.